Side effects are an integral part of any medication therapy. By the same token, many Opana side effects are inevitable. However, you may not experience all of them at the time. Likewise, only a few of them pose a serious health risk. The key lies in separating the serious ones from others. That way, you can cut down the risk of complications. Also, you may take some precautions to prevent some of the effects. 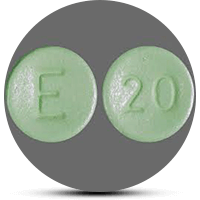 Opana is a powerful pain medication that treats moderate to severe pain. Doctors prescribe it for the pain that does not respond to other medications. It contains an opiate drug. They call it Oxymorphone. It has a very high abuse potential. This is very much like other opiates. All things considered, they categorize it under Schedule II. As a matter of fact, Opana side effects are the undesirable effects. Strangely enough, they occur when you take its normal doses. For this reason, they exclude the symptoms of an overdose. However, allergic reactions fall under the side effects. How often it occurs: Notably, it considers those who feel the effects in a scientific study. As a result, scientists express the data in a percentage. They may be common, less common, more common, and rare. Severity: According to this, Opana side effects can be severe, non-serious, and life-threatening. Physiological system affected: They include the effects that are exclusive to a specific system. For example, depression is a CNS symptom. There is no gold standard guideline to categorize them. Consequently, the bases can differ. This is according to the type of the information the target audience requires. For example, a patient is less likely to take an interest in the name of the system affected. Interestingly, they are more eager to know the side effects. Therefore, they base it on the frequency or severity. What Are Common Opana Side Effects? You should have a clear idea of when to seek help from your doctor. As a matter of fact, many Opana side effects become bearable over time. This is after your body adjusts to the medication. Even so, some may persist, worsen or cause significant troubles. In such case, you should talk to your doctor. On the other hand, allergic reactions always potentially dangerous. All things considered, you should call your doctor immediately. This is if you experience any symptom indicating an allergy. The severity and occurrence of Opana side effects can vary among the patients. For this reason, your and your friend may feel different symptoms. Quite a lot of factors determine this. For instance, genetics, overall health condition, and co-occurrence of other disorders. Moreover, if you are also taking other medications, the side effects may vary in the severity. What Are The Symptoms Of Opana Allergy? Allergic reactions are the results of an abnormal response of the immune function. On one hand, it can be against Oxymorphone itself or any ingredient in the preparation. In any case, the immune cells mistake it for a foreign particle. As a result, they launch an abnormal immune attack. Opana allergy is rare. Nevertheless, it warrants an emergency medical care. Therefore, watch for the following symptoms of allergy. Of course, Opana is very addictive in nature. In fact, the addiction potential is a noteworthy side effect of Opana. It can occur even when you take its normal doses. For that reason, it is a Schedule II controlled substance. The risk multiplies higher and hgigher when you abuse it. As a result, tolerance and withdrawal develop very rapidly. Therefore, watch for the typical signs of a looming addiction problem. This is if you or someone you love is taking it. Talk to the experts to know more about Opana side effects. In fact, they are one of the very few trusted sources of any health or medical information you want. Are you or anyone you love having problems with Opana addiction? Please seek expert help right now. Addiction centers have facilities with every resource to help someone with an addiction. They have a qualified medical staff. They will create personal addiction treatment plans, and provisions for auxiliary care. With the right treatment, you can expect a complete recovery. Do not hold back, get the best rehabs page here.